Some would think it’s a challenge to turn a timeless image into a trendy icon, but not MDG. 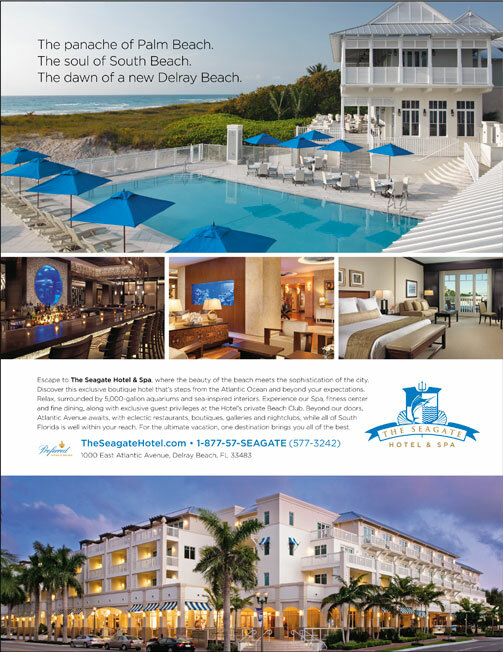 We recently worked our magic on The Seagate Hotel & Spa, a brand-new beachfront boutique hotel in Delray Beach, Florida that’s risen from the distinguished heritage of The Seagate Beach Club. Our goal was to develop a brand that had the contemporary allure of the new cosmopolitan hotel while recalling the historic prestige of the Seagate name. The strategy and brand development were critical because so many components needed to be created so quickly. Besides the hotel and spa, we also developed names and identities for the restaurant, shops and café. “It was the kind of design project that creatives dream about. There were more than 100 items that had to be designed, from an environmental graphics/signage program, to the room key itself,” said Michael Del Gigante, executive creative director and president of MDG. 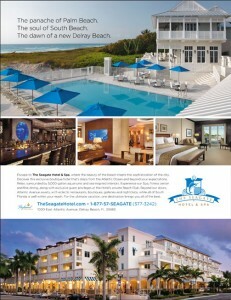 Given The Seagate’s location between the celebrated cities of Palm Beach and South Beach, our team’s approach was to present The Seagate Hotel & Spa as the ideal escape between the extremes: the must-see and must-stay destination that provides oceanfront tranquility and the excitement of downtown, offering the best of both worlds in the charming resort town of Delray Beach, Florida. 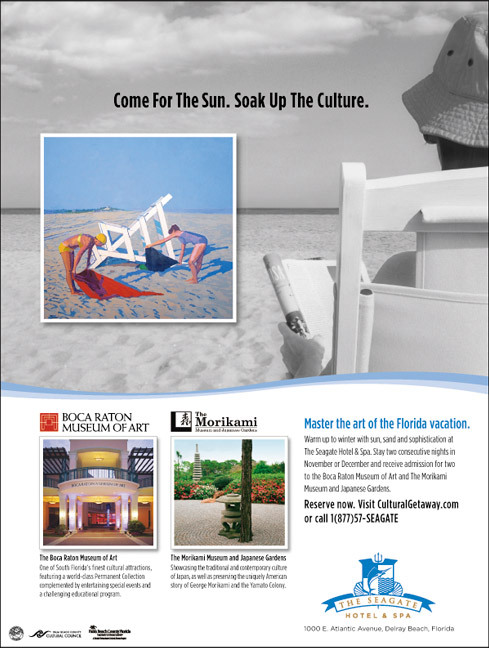 We kicked off the pre-opening marketing efforts by developing a special Cultural Getaway package that includes admission for two to the Boca Raton Museum of Art and The Morikami Museum and Japanese Gardens with a two-night hotel stay in November or December. The website, www.theseagatehotel.com was designed to be launched in stages so the addition of new content and photography could be easily integrated.